Operations Manager at Nokia Ltd. (1970-1990). Head of Human Resources (1990 – 2009) at Grafton Group plc. Principal Consultant at OMaraHR (current). Board Director at Retirement Planning Council of Ireland (current). Board Director at Catholic Institute for Deaf People (2008 – 2014). 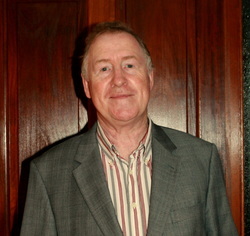 Member of the Employment Appeals Tribunal (2008 – current). Member of the Disciplinary Committee for the Institute of Certified Public Accountants in Ireland (current). I work with a facilitative style assisting the Parties in reaching a mutually agreeable resolution. Glennon Insurance Brokers, Charlemont Place, Dublin 2. Want to ask Aidan a question?